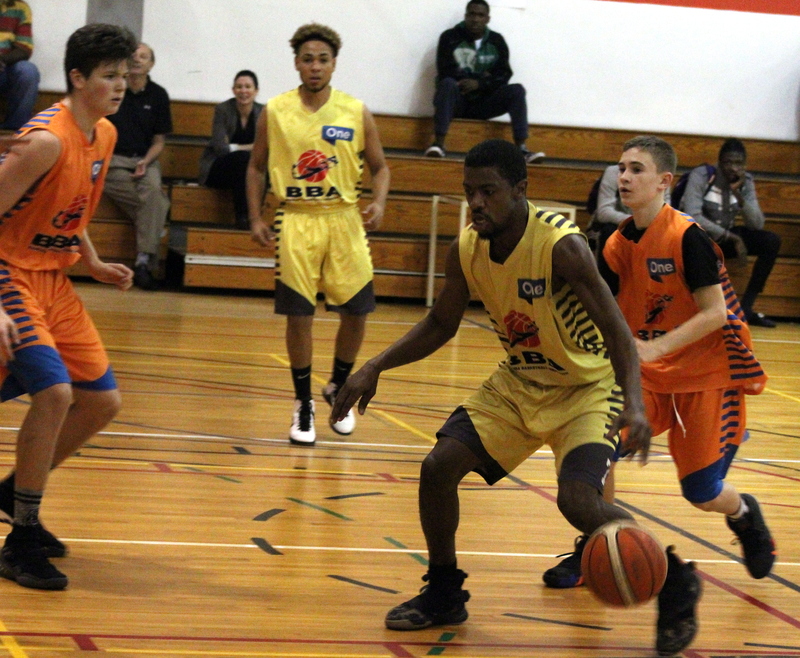 The Bermuda School Sports Federation announced the Senior School Basketball Finals will be on Tuesday April 16th. A total of 262 points were scored, and an exciting buzzer beater to send a game into overtime left the crowd wanting more as the Bermuda Basketball League sponsored by ONE Communications continued at the Somersfield Academy Gymnasium. In Game 1, the Smith’s Court Kings defeated the St. George’s Hoopstars 73 – 56, Christian Fiddick led the Smith’s Court Kings to victory with 19 Points, 1 Rebound and 1 Blocked Shot, while Kennique Wilson scored 19 Points for the St. George’s Hoopstars, he also added 5 Rebounds, 4 Assists, 9 Steals and 1 Blocked Shot. Game 2 needed overtime to decide a winner as the Hamilton City Twisters defeated the Warwick Rim Rockers 68 – 65, Kameron James and Darae Smith both scored 23 Points for the Hamilton City Twisters, James hit the buzzer beating 3 point shot at the end of regulation to send the game into overtime, he also added 11 Rebounds, 6 Assists and 5 Steals, while Smith added 10 Rebounds, 4 Assists, 2 Steals and 2 Blocked Shots. Jorel Smith scored a game high 34 Points for the Warwick RimRockers, he would grab 4 Rebounds, 5 Assists and 2 Steals. 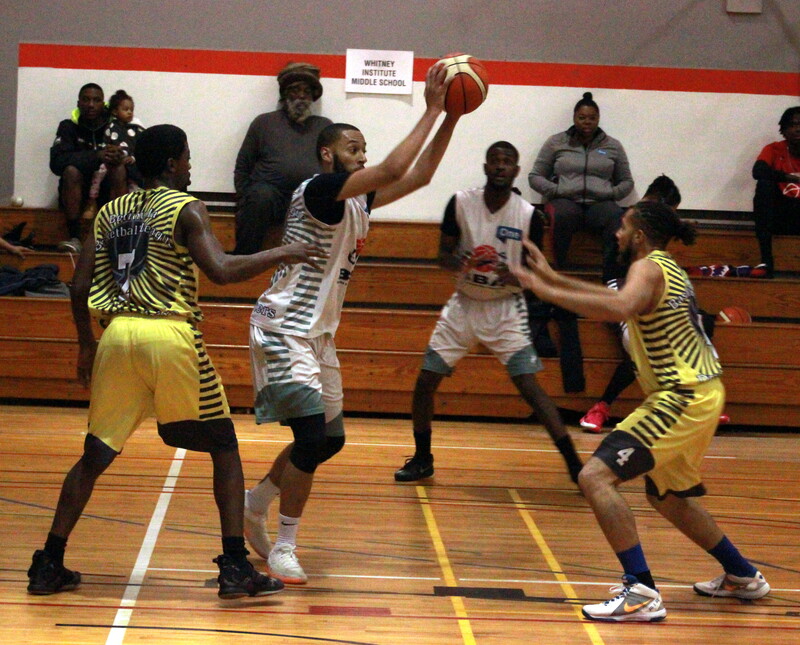 The Bermuda Basketball League sponsored by ONE Communications continued with yet another double header inside the Bermuda College Gymnasium that saw 209 points put on the board in total. Game 1 saw the Hamilton Parish Rockets defeated the Southampton Wolfpack 55 – 48, John Lee led the Hamilton Parish Rockets to victory with 15 Points, 13 Rebounds, 6 Assists and 3 Steals, while Jason Lowe scored 9 Points for the Southampton Wolfpack, he would also grab 17 Rebounds, 3 Assists and 3 Steals. The Somerset Tsunamis won Game 2 by a score of 58 – 48 over the Devonshire Chargers. Ryan Rabain recorded a double-double with 19 Points and 19 Rebounds for the Somerset Tsunamis, he also had 2 Block Shots, Kevin Stephens also had a double-double for the Devonshire Chargers with 16 Points, 12 Rebounds, 2 Assists and 1 Steal. The Donofrio Classic is celebrating its 59th anniversary this year. What makes the four-week tournament so special is the players. The top talent in Philadelphia and its surrounding areas flock to the Fellowship House of Conshohocken every spring. The history, the high level of competition and everything that comes with it are what keeps them coming back. Peters suited up for Don-Len for the second consecutive year in the Donofrio Classic. After a first-round win, they were eliminated by Raw Sports Tuesday night, 122-86. The high level of talent that the Donofrio is known for was on display Tuesday. Raw Sports, the defending champs, have a roster full of players that will continue their basketball careers in college — John Bol Ajak (Westtown/Syracuse), Zach Freemantle (Bergen Catholic/Xavier) and Jalen Gaffney (Westtown/UConn) are just a few examples. Peters, who finished the second-round matchup with seven points, seven assists and four rebounds, has been working on his game since the Colonials season came to an end in the District 1 Class-6A playbacks against Conestoga. “Just being a leader, smart, a true point guard,” Peters, who was a co-captain in his first year as a starter for PW last season, said of the areas he’s trying to improve, “looking for my teammates as always and athleticism is a big part I need to work on. I’ve been in the weight room getting that done. Peters will play for the Jersey Shore Warriors this AAU season before taking on the role of PW’s No. 1 option as a senior. PW underclassmen Luke Dicianno (sophomore), Jaden Pryce (junior) and Ray Tomassetti (freshman) joined Peters on Don-Len. Dicianno hit a three-pointer in the second half. Don-Len led for much of the first half before getting cold offensively when they reached 30 points. They fell behind by 10, 42-32, before cutting their deficit to four, 48-44. Raw Sports finished the first half with six straight points to take a 54-44 lead into the break and never looked back. A total of 217 points were scored in the latest round of the Bermuda Basketball League sponsored by ONE Communications that took place inside the Bermuda College Gymnasium. Game 1 saw the Somerset Tsunamis defeat the Pembroke Skyforce 63 – 52, Dean Jones led the Somerset Tsunamis with a double-double scoring 15 Points and grabbing 14 Rebounds, he would also record 7 Assists, 1 Steal and 4 Blocked Shots, Jericho Tucker scored 19 Points for the Pembroke Skyforce, he would also have 7 Rebounds and 2 Steals. Game 2 saw the Devonshire Chargers defeat the Smith's Court Kings 58 – 44, Kevin Stephens was one shy of a triple-double for the Devonshire Chargers, he scored 17 Points, 10 Rebounds and 9 Assists to go along with 4 Steals, while Sheldon Bahadosingh led the Smith’s Court Kings, with 10 Points, 5 Rebounds and 2 Steals.